Commercial Roof Installation & Replacement | Try-Lock Roofing Inc. Call (716) 447-1688 today for your roofing estimate. 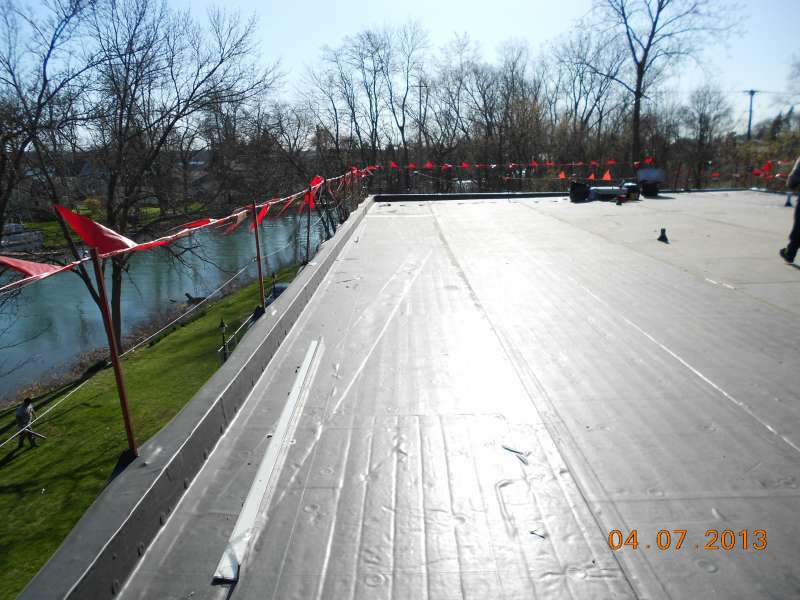 Call (716) 447-1688 today for a free and fair estimate on your commercial roof project. Try-Lock Roofing Inc. proudly provides unparalleled roofing services to Buffalo and all of Western New York. We’re the area’s leading commercial roofing contractor for a reason. Call (716) 447-1688 for an estimate on your roofing installation or replacement! Try-Lock is proud to offer Firestone’s RubberGard EPDM Roof System, one of the most versatile single-ply rubber roofing systems on the market. Firestone UltraPly TPO roofing membrane is great for almost any type of roof, especially low- slope commercial roofs. 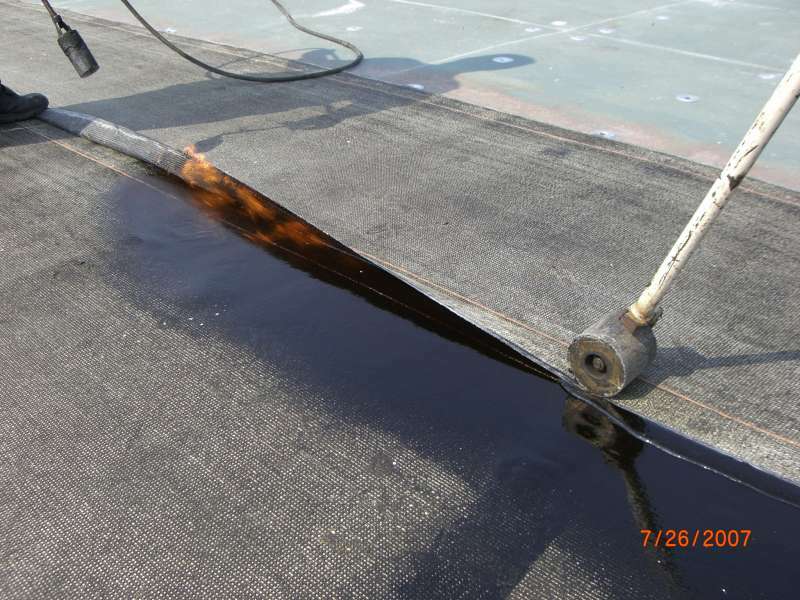 GAF RUBEROID® Torch Smooth Membrane is a modified bitumen roofing system that comes in both smooth and granular surfaces depending on your needs. What’s the average cost for commercial roof installation? While the total cost of a commercial roof install or replacement depends on the type of roof, its condition and especially the size of the project, most studies place the cost of replacing a commercial roof anywhere from $6.00 to $15.00 per square foot. A well-known study from Carnegie Mellon puts that cost even higher. On average, they found commercial roof installations to cost around $25.00 per square foot. With that said, there’s really no way to estimate the cost of your installation accurately without our contractors actually taking a look at your roof. While online cost calculators do exist, take them with a grain of salt. Should I repair, re-cover, coat or replace my commercial roof? Thankfully, since they’re such major investments, most commercial roofing systems are built to last. But they can’t last forever, and when problems like leaks start popping up, they won’t stop until you put some time and money into rectifying them. Business owners have a variety of options when it comes to working on their roofs. They could choose to repair isolated damage, re-cover the roof to prolong its lifespan, coat the roof to add some protection or opt for a total tear-off and replacement. Each decision has its merits. You want to keep costs down. However, if your roof’s problems run deeper than just a few leaks here or there, repairs will only fix these issues in the short term. You can’t afford a full replacement right now. Keep in mind, however, that your roof can only effectively be re-covered once. You don’t have a huge budget for repairing your roof. With all of these other options available, you might wonder why you would bother to totally replace your roof at all. However, repairs and coating are only really stopgap measures. Repairs and coatings can help prevent temporary leaks but are not a permenant solution for all of your roof issues. If you’re curious about what the best option for you might be, feel free to give Try-Lock a call at (716) 447-1688 to go over your options. With many older roofing materials, you wouldn't want to install a new roof anytime that the temperature is below 40 degrees. The risk of damage to roofing materials during the installation process is much higher anytime the temperature is anywhere near freezing. Your best bet for a successful, headache-free install is generally anywhere from early spring to late fall, before it starts to get too cold. Some modern roofing materials, however, can be installed at even lower temperatures without significant risk of damage. Depending on your roofing project, as long as your roof is clear, you may be able to install a new roof year-round. Our suggestion? Plan ahead. If you know that you need significant roofing work, especially a new commercial roof, plan it out far in advance. That way, you’ll be able to lock down the roofing company that you trust the most. For these and any other roofing questions, we invite you to call Try-Lock Roofing Inc. at (716) 447-1688 to discuss your needs, We’re the leading commercial roofing contractor in Western New York for a reason.